Engagement rings from Verragio will compliment almost any shape and size diamond center. 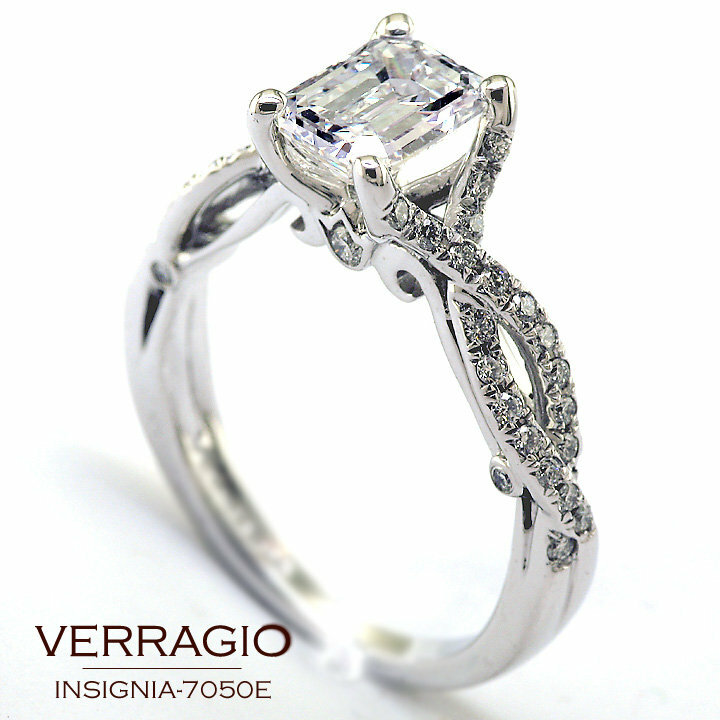 Here is an example with an emerald-cut diamond. We didn’t forget about the Emerald-Cut lovers: INSIGNIA-7050 engagement ring with 1.25 carat emerald-cut diamond center in 18K White Gold. As you can see almost all of our engagement rings will compliment various shape and size centers even though they are usually pictured with a round or princess cut diamond center.